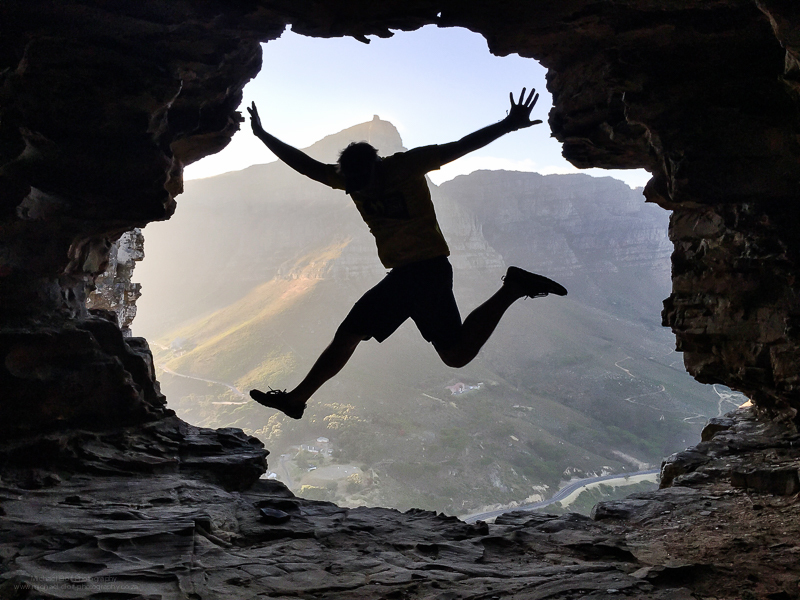 If you are an avid adventurer like me, you’ll know that there are a number of hidden caves in the mountains around Cape Town, especially on our city’s most popular mountain to hike, Lions Head. 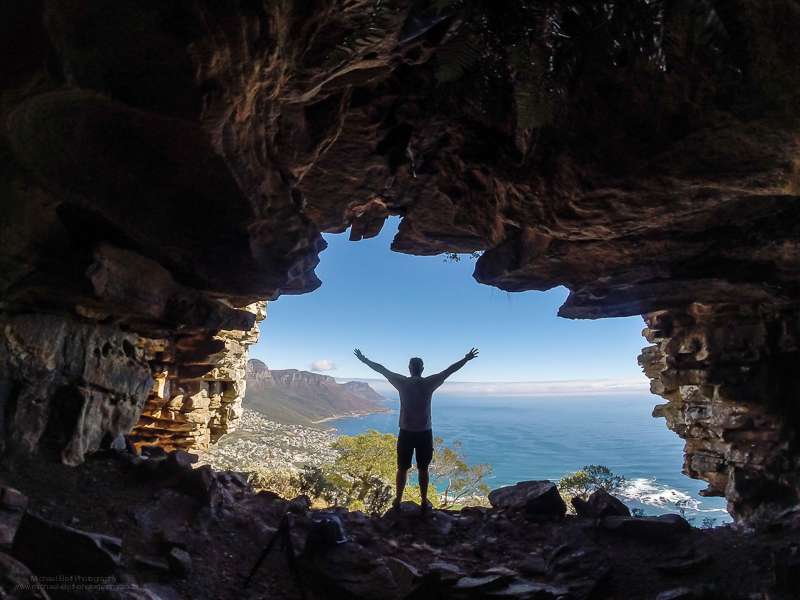 It was in December 2014 that I found the first Lions Head Cave, the now popular, Wally’s Cave! 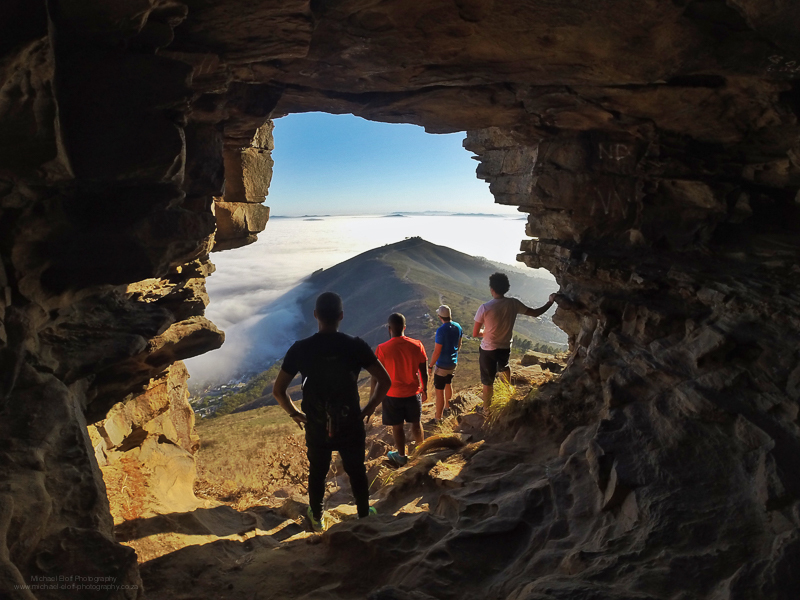 Situated on the side of the mountain facing directly onto the Table Mountain Cable Station, Wally’s cave is deep enough to protect you from wind and rain, but if you’re looking to take a photo from inside this cave, be sure to pack your widest lens or GoPro to capture it because the wider you go, the better! If you would like to hike to Wally’s Cave, here’s the directions to getting there. Wally’s Cave has so many nooks and crannies inside it and if if you look close enough, you’ll see how the weathered sandstone forms some amazing caves big enough for ants, but it is certainly my favourite of the Lions Head Cave’s! The next Lions Head Cave I discovered was just over a month again, and since there is no official name for the cave that I’ve heard of, I’ve decided to call it “Lawry’s Ledge”. This cave looks out over the magnificent turquoise Atlantic Seaboard from Clifton all the way out to Llundudno! 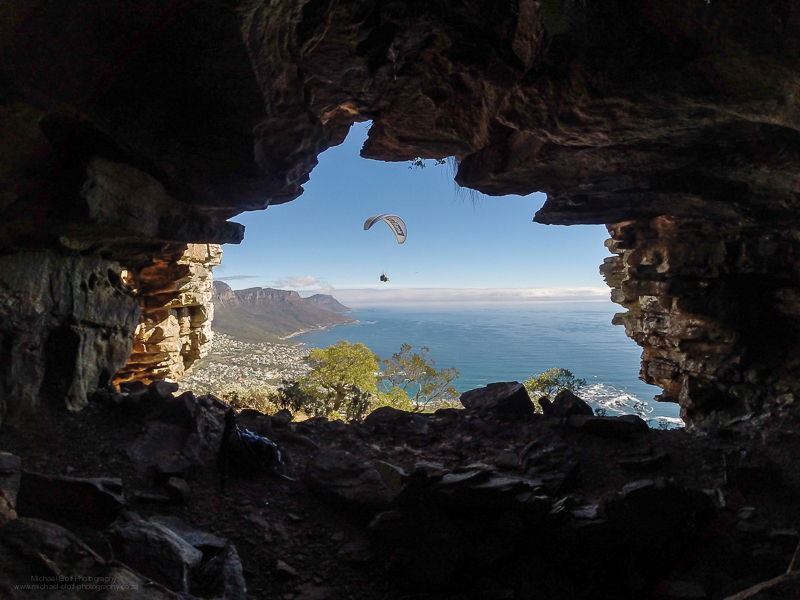 Be sure to go on a day when the Cape Town Paragliders are flying around Lions Head too, to catch them gently flying past the cave! Star trails from inside this cave are next on my list of photos I want to take, so keep an eye on my Instagram to see when I manage to get up there for the shot! 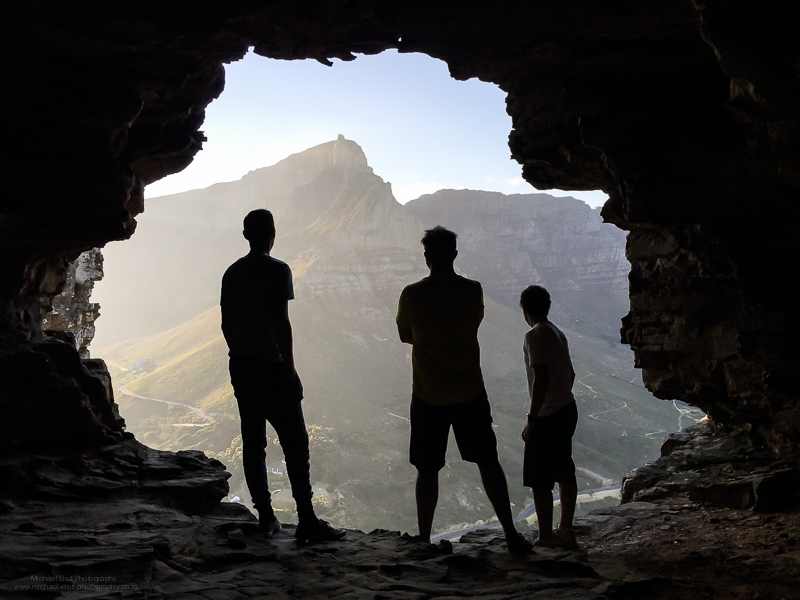 The last cave I’ve discovered is the smallest, yet the easiest to find of all the Lions Head Cave’s I’ve explored! 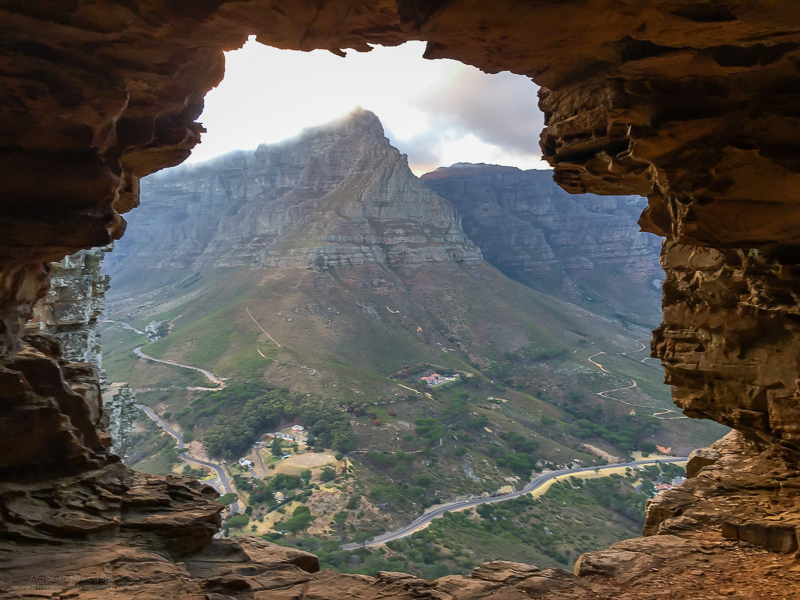 This cave looks onto Signal Hill and goes by the name, “Watchman’s Cave”! It is said that this cave used to be a sacred sight where ancient people used to perform ceremonies because of its placement facing North West with the summer sun shining into it, creating a sundial effect. 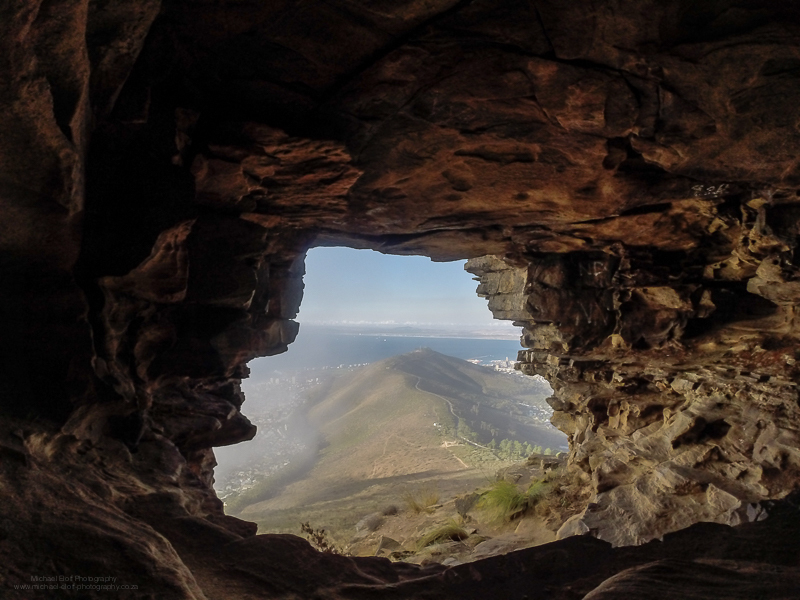 To get to this cave is easy because it is just above the main path going up Lions Head looking onto Signal Hill. It’s a very small cave, but if it’s raining like crazy, it should protect you from getting wet and is also a perfect place to go have a picnic while watching the sunset if you do not have the energy to get to the top. Hiking time to each of the Lions Head Cave’s differs with the different routes going up the mountain, but if you are taking the standard route along the jeep track and then onto the main path, to get to Wally’s Cave will take you around 40 minutes, Lawry’s Ledge will take approximately an hour and Watchman’s Cave should take you no more than 20 minutes to get to. Next Post The Wings for Life World Run is back!! Hey, very nice pictures! Would you be able to put a google map route and pin to show how others can reach these caves? I came across your page, I am looking for the directions to the other two cave’s (Lawry’s Ledge and Watchman’s Cave). I would like to explore the three cave’s as soon as possible. Could you pse tell me the best route to Lawry’s ledge. Is it from Wally’s or from the normal Lion’s head path?